Former Hibernian and Kilmarnock boss replaces Jackie McNamara at Tannadice. Dundee United have confirmed the appointment of Mixu Paatelainen as the club's new head coach on a deal until 2018. The 48-year-old was sacked as manager of the Finland national team earlier this summer and had expressed his interest in returning to Scottish football. 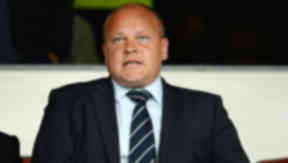 Chairman Stephen Thompson said: "I am delighted to welcome Mixu back to the club as our new head coach. He served United with distinction as a player and will do the same as a manager. His desire to come back to the club was clear from the first minute we spoke. He was the first person we spoke to and also the last. "His experience combined with his vision and enthusiasm for the club made him the standout candidate and we are thrilled to announce his appointment." A popular player during a spell at Tannadice from 1987 until 1992, the former striker replaces Jackie McNamara who was sacked by the Terrors last month. 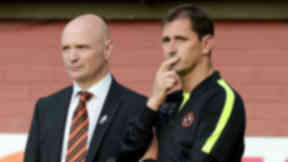 McNamara led United to the top six in each of his seasons in charge but was axed following a run of five wins in 28 matches. Paatelainen enjoyed spells with both Hibernian and Kilmarnock, leading the Ayrshire side to a top six finish in 2010/11 and his work at Rugby Park earned him the Scottish Football Writers' Association Manager of the Year award. 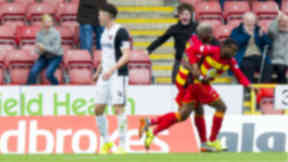 United are currently bottom of the Scottish Premiership table with five points from their opening ten games following a 3-0 loss to Partick Thistle.